Why teach about India?It the world’s largest democracy with a rapidly developing economy and links all around the world. 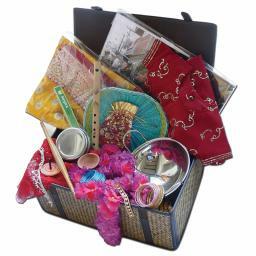 This pack contains a 20 page A4 phototoack and authentic artefacts from India including a child's outfit, garland, balti dish, ubba dubbaflute, jewellery, and much more. These artefacts will help children develop “..a curiosity and fascination about the world and its people that will remain with them for the rest of their lives” (Primary National Curriculum 2014)They will equip children with “..knowledge about diverse places and people”It will specifically meet the place knowledge of understanding geographical similarities and differences through studying the human and physical geography of a small area in a non-European country. 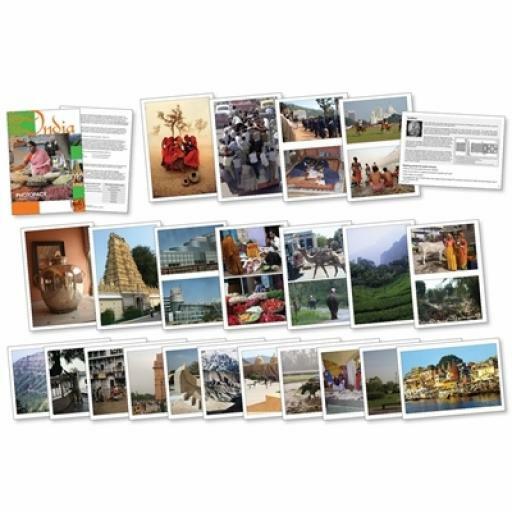 The photopack and artefacts can be used to foster a wide range of experiential and enquiry approaches to learning across many subjects including, history, English, citizenship, art and music. They may be stimuli for discussion and supplement other classroom materials from our range. Make an eye-catching display in any setting.